Source: Created by cluster headache patient, Bob Kipple. 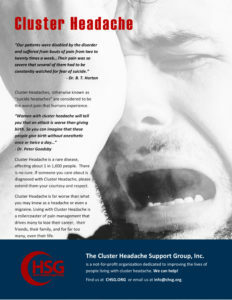 The KIP Scale was created specifically to describe the pain of a cluster headache attack. 10 Major pain, screaming, head banging, ER trip, depressed, suicidal.